Well, it has been some time since I posted. Life mostly gets in the way and due to the American Football (NFL) season I tend to get very distracted. So I have attended only one event, electing to not go to a couple of more due to time and the fact that many of these events really do not bring anything new or exciting to someone who has had more than a few tastings of every major scotch whisky. Most scotch whisky distillers are enjoying record sales, new markets in India, China, and of course the Americas keep on drinking. Blended whisky is still king and that’s fine, I just tend to stick to single malts and love to see new expressions that many of them keep churning out. I do think that a few distillers are trying harder to keep coming up with something unique but unfortunately their products mostly hit very limited markets and aren’t very affordable for an everyday drinker. 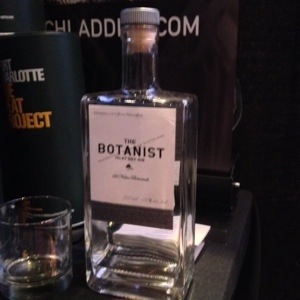 So WhiskyFest NYC was the first WhiskyFest event I have attended. I went to the general event as time and money prohibited from attending all the “extra” classes. I think it’s rather amusing that you must pay a lot of money to sample and hear people go on about their products when they need you, the consumer, to be excited enough to buy them and spread the word. But anyhow, there is a market for everything and their show seems to work for them, however, they tried to do a multi-day event this year and I don’t think it met their expectations. They did put out a comment saying something to the effect that they were disappointed that they did not have enough new and unique whisky available at the event. I agree. The highlight of my three-hour “taste-a-thon” was meeting Jim McEwan. He is a legend and rightly so. What I didn’t know was how personable and caring he is. He was extremely friendly and entertaining. He shared with me his time as Master Blender at Bowmore and his amazing resurrection of Bruichladdich. He is what I so love about Islay, in a word, pure. The work he did at Bowmore is evident in their excellent aged whisky on the market today. The work that he has done at Bruichladdich is nothing short of brilliant in my opinion. If you are looking for a brand to dig into, and enjoy the peaty single malt whisky from Islay, dig in. The range is varied and offers something for everyone. You can go from the Laddie Ten up to the Octomore range. I am in love with the Octomore line, I think it is one of the most well done expressions that can only be a result of years of experience. It’s hard to get a clear picture at a whisky event. The Nose, Richard Patterson was also in the house! I have met Richard a couple of times and spent some time enjoying his gregariousness and had a few drams while he entertained a few patrons. He is pure fun! 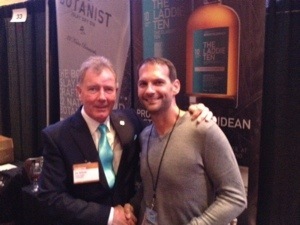 It was also great catching up with David Blackmore, Global Brand Ambassador for Ardbeg & Glenmorangie. He does an excellent job and is a very kind soul. I ribbed him about not having anything “special” but I was more than willing to have a pour of Uigedail, possibly my favorite of the Ardbeg line. 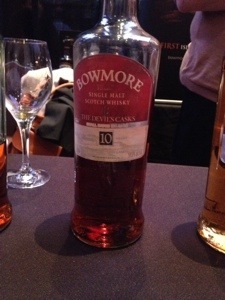 The only spirit of the night that I was looking forward to tasting was the Bowmore Devil’s Cask. I had been told about this whisky while I was at Bowmore this past spring and actually tasted one cask that I was told would be very telling about the Devil’s Cask. It is a product of first filled sherry casks and the age statement is a 10 years aged whisky. DO NOT make the mistake at looking at the age statement, but look closely at the “first” filled sherry cask. Much like the most excellent Tempest (Dorus Mor in the U.S. due to trademark issues) this is a very small batch high quality product that is nothing short of extraordinary. If you get the chance, or have the means, acquire it. Well I didn’t mean for this to go on so long but I’ve been silent for a few months. During this time, I’ve really focused on just enjoying the various Bowmore and Ardbeg products that are a staple in my house. I’ve also been pleasantly surprised by the new Balvenie 12 year single barrel “First Fill” product that came out this year. I intend on writing about it soon and intend on comparing it with the single barrel 15. One thing about this year pertaining to the marketing of “first fill” products. There IS something different about these products, it is a noticeable difference and I do hope this is a trend. P.S. if you did not know, Jim McEwan has made a Gin. It is one of the best I have ever tasted, no joke!